How do you establish a healthy morning routine for weight loss success? We’ve learned from the last two posts; why breakfast is a foundational habit and what to eat to help avoid temptation later in the day. However, breakfast isn’t the only morning based foundational habit. 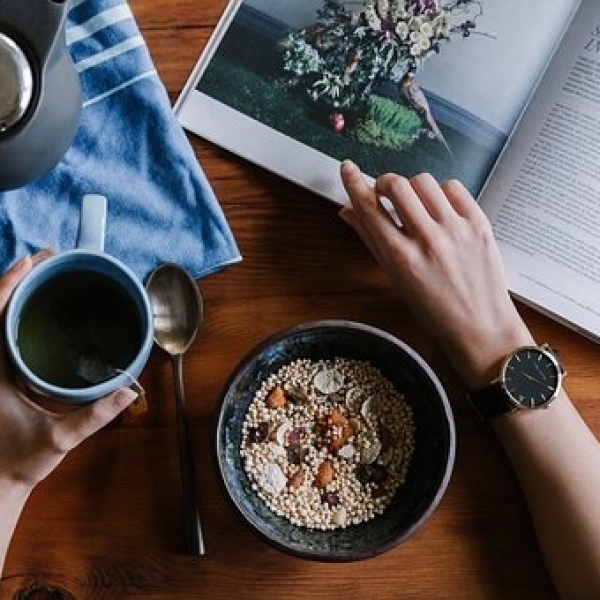 More generally, establishing a healthy morning routine is key to ensuring you stick with your foundational habits both in the morning and for the rest of the day. What does the research say about healthy morning routines? It has been shown that those who establish morning routines are more successful in both their health and career related goals. Researchers at Harvard have found that early birds were more likely to set and stick to their long term goals. They were better at anticipating and coping with problems, and more generally were better at getting things done. In relation to weight loss, the evidence shows that being a morning person is more effective for long term success. In one study, it was found that those who were most successful in achieving their health goals, were self described ‘early birds’. In contrast it was shown that ‘night owls’ were 1.5 times more likely to become obese, and were twice as likely to be physically inactive. Yet, what was really interesting about this study was that both the night owls and early birds got the same amount of sleep! What makes being a morning person better for weight loss? It is thought that morning routines are more health promoting. Night owls tend to watch more TV (which has been independently linked to weight gain) and socialise more. Additionally, given that we tend to be exposed to more temptation in the evening. It is thought that night owls may be more susceptible to giving in to temptation due to depleted self-control from resisting more temptations throughout the whole day. In contrast, those that wake early are more likely to have healthier morning routines; that include exercising in the morning (more on this in the next post) and eating a regular breakfast. Both of which, have been linked to long term weight maintenance success. Ultimately, establishing a healthy morning routine is key to the success of your healthy habits for the entire day so starting out on the right foot is key. Rather than start with the specific activities you could do in the morning to promote weight loss success (which I will cover in the next post). I want to start with the processes you need in order to be able to establish a healthy morning routine in the first place. If you aren’t a morning person but would like to become one you can train yourself. As mentioned in the study above on early birds vs. night owls, whilst the number of hours of sleep doesn’t matter, the timing of sleep does. One way to train yourself to become a morning person is through shifting your daily sleep/wake cycle by going to bed earlier. You can start this process by heading to bed just 30 minutes earlier for the next week. Then, next week, increase it to 45 minutes. Then, the following week, by 1 hour. This gives your body time to adapt without feeling like it’s too drastic a change to your lifestyle. Even if you are a morning person. If you are finding yourself feeling super groggy in the morning, one thing that has been shown in the research to help is exposure to natural daylight. It is thought that daylight resets your circadian rhythm (your physiological sleep/wake cycle) and helps you naturally wake up. Research has found that keeping to your mid week sleep routine could not only help you in establishing a more consistent healthy morning routine but could also help you resist temptation better. One study found that this so called ‘social jet lag‘ (when you shift wake up/sleep times on the weekends) makes you more vulnerable to having an increased appetite for unhealthy foods. Just like you would with any other foundational habit. I know it sounds a pain, but the thinking involved in this will only be required for the first few times you do it. The main reason people don’t stick to healthy morning routines is because they don’t give themselves enough time. They find it indulgent to take time in the morning, they would rather get more sleep or they are worried that they could end up running the risk of being late for work. If you want to establish a healthy morning routine you need to allow yourself enough space and time to be able to do it properly. So work backwards, and plan your alarm clock accordingly to give yourself enough time to enjoy your early start. The best way to establish a consistent healthy morning routine (or any routine for that matter) is to start small. For example, this week you could work on what you can do to be more awake in the morning; get to bed 30 minutes earlier or have more morning exposure to sunlight. I challenge you to do one thing this week to help enhance your healthy morning routine. As always it doesn’t need to be a big heroic effort. Take a look at what you already do, ask yourself, how could I enhance this? The key here to start small, be consistent, and then build on it over time. 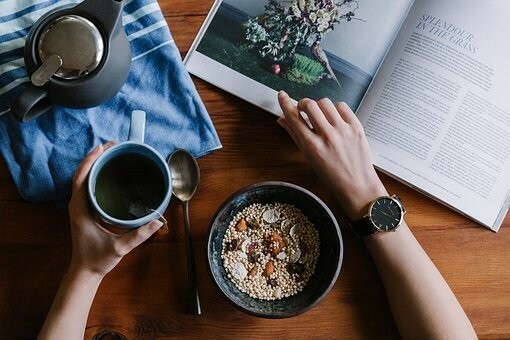 The connection between healthy morning routines and success is also determined by what you do with your time in the morning. In the next post I will outline 3 evidence based foundational habits which you could add to your healthy morning routine to enhance your weight loss success and have a positive impact on your healthy habits for the rest of that day. P.S. Know someone in need of support with their healthy habits this Autumn? I am holding my last open day of 2017 in New You Dublin on Monday October 9th. Email info@weightlossiq.co.uk now to reserve your spot or go to https://www.newyou.ie/weight-loss-psychology-new-you.php to find out more. Places are limited to 6 clients, there is also 3 phone consultation slots available.